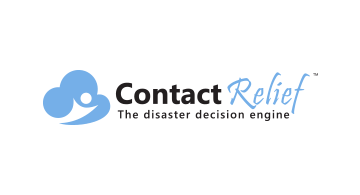 ContactRelief is your Disaster Decision Engine. Our innovative cloud-based solution notifies you 24/7 of disasters both natural and man-made that are impacting your customers across the country, and then makes recommendations to amplify, redirect, suspend and resume contact with the affected areas. Using ContactRelief will improve your operational efficiency, protect your brand and reduce the risk of adverse action, complaint or social media attack from mishaps that may occur in your internal or outsourced contact centers. Whether you are strategizing on outbound efforts or focusing on specialized programs for inbound call routing, using ContactRelief will improve your financial performance while continuing to protect your customers in damaged areas during disasters.